Works flawlessly through 21A Beretta. Chronographs faster than Remington's FMJ round. 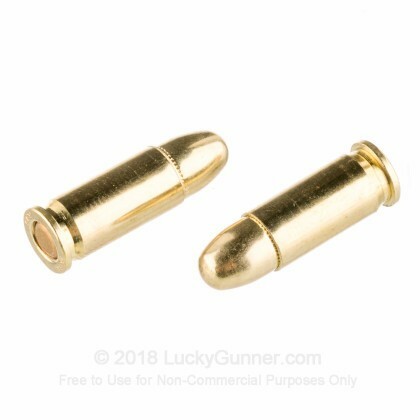 I scored a case of this ammo, fed my Mauser model 1914 pocket pistol with this ammo while at the range just recently and I have to say this ammo fed well out of the original issued magazine into the chamber, firing pin strikes were spot on and perfect. Ejection of each spent cartridge after a full mag was exhausted was flawless, no misfires. No complaints here. Very happy with this brand of ammo to shoot in my vintage firearms that are chambered for it. Extremely fast, hassle free shipping from Lucky Gunner, it's why I always return online to buy my ammo from these guys. Keep up the awesome work! 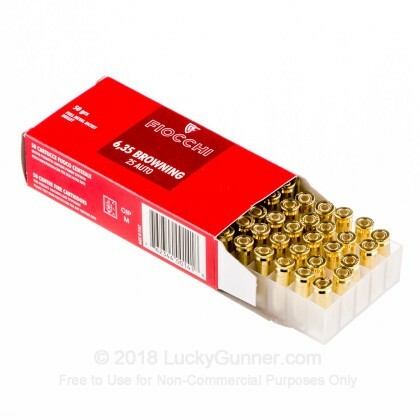 Good clean ammo, great value. Got an old .25 with some old ammo. Mag kept jamming and wouldn't be able to put more than 2 down range before it jammed again. 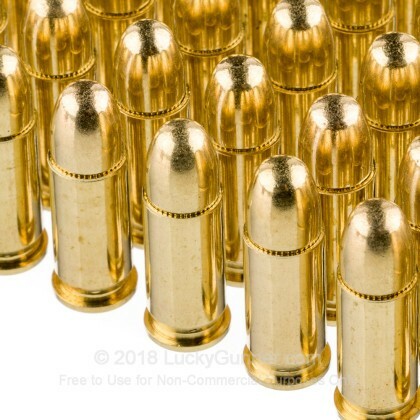 I was looking for newer ammo and found it here. 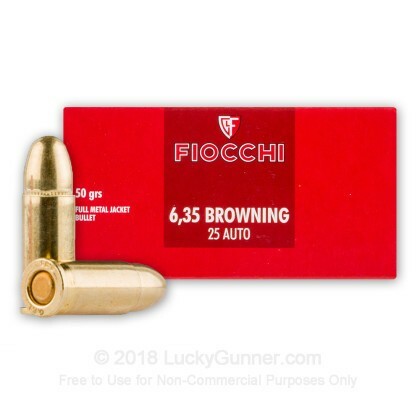 Great price, quick to deliver and great ammo. No jams for the first hundred I have used. I will buy all my bulk ammo from now on here. Lucky Gunner lives up to it's reputation once more. Ammo came quickly, good quality, shoots well. Fast shipping, good ammo, shoots well in my gun. great ammunition at a good price. no problems with it what so ever. I will be purchasing much more. 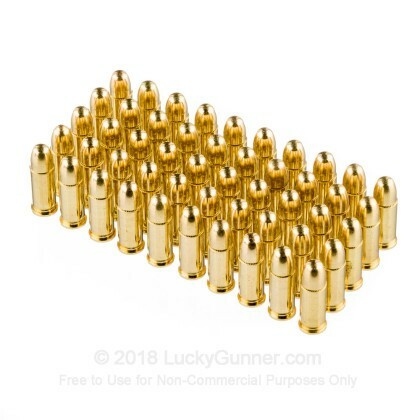 A decent ammo for a good price fed fine and no miss fires out of 300 rounds. A little dirty, but for 300 I'd have to say not to bad. 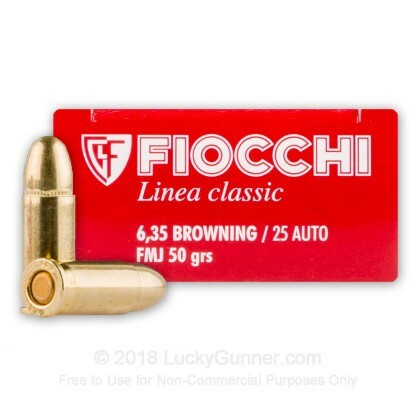 We also have this 25 ACP - 50 Grain FMJ - Fiocchi - 50 Rounds ammo in stock in a smaller quantity.